SINGAPORE (April 17, 2013) –Glory Sports International and CBS Sports Network have reached an agreement to showcase action from the world’s premier kickboxing league, beginning with the star-studded GLORY 7 event in Milan, Italy on Saturday, April 20. The CBS Sports Network telecast of the nine-bout GLORY 7 Milan kickboxing event from Mediolanum Forum, headlined by a showdown between world No. 1 ranked lightweight (154 pounds/70 kilograms) Giorgio Petrosyan (75-1, 35 KOs) of Italy and fellow sensation Hafid El Boustati (67-7-3, 18 KOs) of The Netherlands, will air at 1:00 a.m. ET/10:00 p.m. PT on Sunday, April 21 (Same day delay). “We look forward to expanding our relationship with CBS Sports Network, a tremendous national sports television platform, and bringing U.S. sports fans some of the hardest-hitting, world-class kickboxing action featuring elite martial arts fighters from around the world,” said GLORY Sports International CEO Andrew Whitaker. 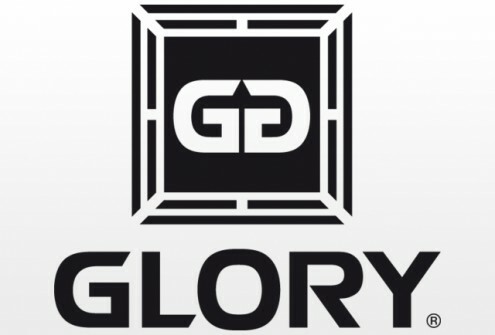 GLORY action on CBS Sports Network continues from Ariake Coliseum in Tokyo, Japan with a one-night, eight-man, single-elimination tournament in GLORY’s featherweight (143 pounds/65 kilograms) division that airs Sunday, May 5 at 2:00 a.m. ET/11:00 p.m. PT (Same day delay). In addition to the tournament, several Superfights, including a heavyweight rematch between all-time great Jerome Le Banner (73-21-2, 59 KOs) of France and Muay Thai champion Koichi (26-8-1, 15 KOs) highlight the card. Additional CBS Sports Network telecast dates of GLORY events will be announced soon. GLORY made its debut on CBS Sports Network from Tokyo on December 31, 2012 with GLORY 4 Tokyo, a one-night, 16-man ‘Grand Slam’ tournament loaded with an unprecedented lineup of the world’s greatest heavyweight fighters. This entry was posted in Events and tagged CBS Sports, featured, Glory, kickboxing, Muay Thai. Bookmark the permalink.